OK, now, let’s read it and figure out what they’re up to! And GO HERE to keep track of bill’s status. Upcoming: Tuesday, March 12, 2019Energy and Climate Finance and Policy Division – Posted meeting schedule. Here are the House Energy Committee members – contact all of them with your concerns! There’s no Senate companion bill yet, and it’s getting late. 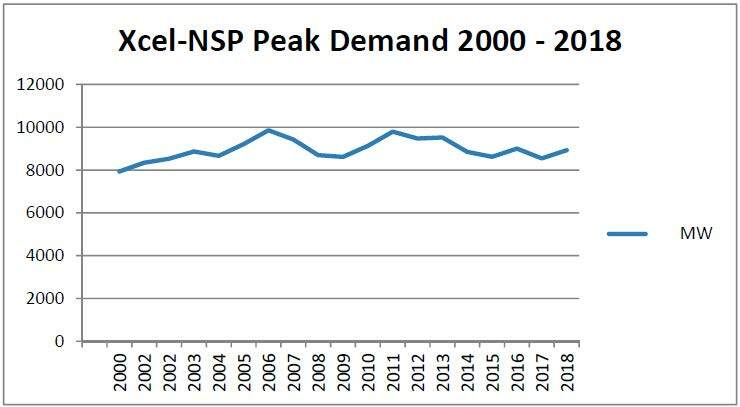 And yet another year where Xcel, errrrrr, NSP, had a lackluster peak demand. That’s a good thing, verification that we can get along with a lot less coal and nuclear. And it’s also good as proof that of those Certificates of Need, based on their bogus “modeling” predicting 2.49% annual increase, we could jettison how many of those projects? How much infrastructure was built that clearly wasn’t needed, at least by their justifications? Billions, right? How much will ratepayers be refunded given all these unnecessary projects based on bogus projections? So now can we get all that unneeded transmission yanked up and hauled to the salvage yard? Freeborn Co. couldn’t get a 2nd on wind development agreement! GOOD! Another incremental win for Association of Freeborn County Landowners. That’s an interesting development! Yesterday at PUC – Freeborn Wind TABLED! … and today, at Freeborn County, when Motion was made to vote on the Freeborn Wind Development Agreement, and others, there was no 2nd! Silence!! 6.1. Amendments to Development Agreement. This Development Agreement may be amended by mutual agreement of the Parties only if the amendment is in writing and signed by an authorized representative of each Party. County authorized representative will be County Board Chair or County Administrator. Developer authorized representatives will be as designated by Article 9.4 of Development Agreement. Ummmmm, no. Guess again… Amendments must go to entire County Board. And there are additional changes you’ll need to make, Freeborn Wind! Stay tuned. Next meeting is mid-March. 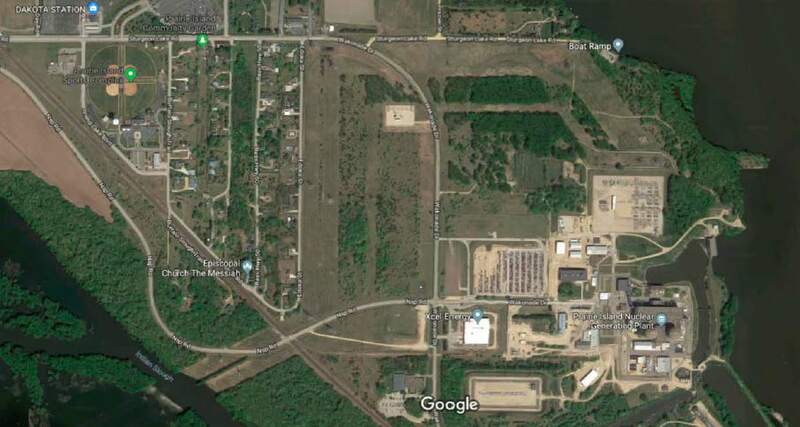 Yesterday, Freeborn Wind, the Applicant, had its wind project permit tabled by the Minnesota Public Utilities Commission. How’d that happen!?! SNORT! I heard there was an audible gasp from that side of the room when it happened. So what did Freeborn say in its Request4Clarification? 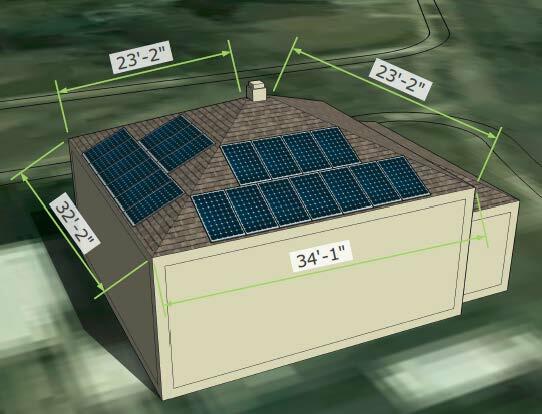 proposed by Freeborn Wind and agreed to by the Department and MPCA, in place of the current Sections 7.4.1 and 7.4.2, to both ensure consistency with the Order and avoid ambiguity in permit compliance. p. 1-2, 20191-148986-02_Freeborn Wind’s Request4Clarification (emphasis added). They produced NON-O-T-H-I-N-G! Nothing at all! TABLED! We have 14 days to provide language for the permit conditions, 7.4; 7.4.1; 7.4.2. Then another Agenda meeting date will be set, ostensibly to deal with Motions, language, etc.